KAMPALA, Uganda—South African lion farmer Tienie Bamberger could not escape the blow to business from America’s ban on hunters importing trophies from captive lions. Bamberge says the number of foreigners booking lion hunts drastically declined and the business “shrank significantly” as many of his American clients—who make up 80 percent of his business—stayed away. “It’s just our American clients, many of whom have become cherished friends, who are denied the opportunity to stalk and hunt the apex predator of the African continent,” says Bamberger. But the hunting world is fraught with confusion these days. Earlier, the killing in 2015 of the well-known Zimbabwean lion Cecil, who was born wild, sparked global outrage and multiplied calls to end lion trophy hunting in Africa altogether. 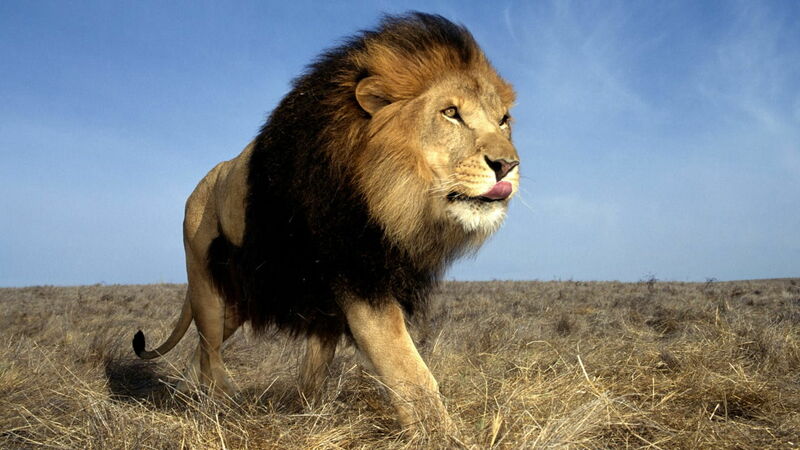 In fact, Australia and France completely banned the importation of lion trophies, captive or wild. But the United States remained a main market for the captive lion hunting industry. Every year in South Africa, dozens of Americans would pay tens of thousands of dollars to hunt the iconic African predator and immortalize their kills in heads, claws, teeth and skins. Then in October 2016 the U.S. Fish and Wildlife Service (FWS) prohibited American hunters from importing trophies from lions bred in captivity in South Africa. The FWS had added lions to the Endangered Species Act, meaning countries like South Africa would have to prove captive lion hunting contributed to the conservation of the wild population. Lions in Africa are classified as vulnerable by the International Union for Conservation of Nature (IUCN), which monitors the conservation status of many species. Their number has fallen by more than 40 percent over the past two decades, largely as a result of pre-emptive killings by farmers protecting their livestock. South Africa is the only place in the world where lions are bred in captivity for hunting, and the majority of those killed in the country were born to die that way. There are some 6,000 captive-bred lions across about 200 properties, according to the Professional Hunters’ Association of South Africa (PHASA), which only recently voted to allow its members to hunt captive lions on accredited farms. After the U.S. import ban, the number of lion trophies exported from South Africa fell from 800 in 2015, to just six in 2016, according to PHASA. “This ban has had a significant financial impact on the landowners and the individuals involved in lion breeding [and] farming,” says PHASA President Dries van Coller. But the ban appears to have done little to help the thousands of lions bred for hunting and still in captivity. Indeed, in some cases, the financial burden on breeders has forced them to euthanize their own lions, as it was cheaper than keeping them alive and some money could be made from selling their bones, according to PHASA. The captive lion hunting industry in South Africa is polarizing, even among hunters. Some believe captive hunting doesn’t allow the animal to escape and therefore defies accepted rules of “fair chase.” Lions have also suffered in captivity, as shown in the documentary “Blood Lions,” which sparked widespread outrage. Still, conservationists say breeding lions for the sole purpose of killing them is cruel. And wildlife experts have argued captive-bred lions serve no conservation purpose since they cannot be released into the wild. In South Africa, even as it bans the import of trophies from captive-bred lions, the U.S still allows American hunters to import trophies from some wild ones. In the case of captive-bred hunts, Khetan says the U.S. ban was only a “step in the right direction.” “Until individuals, companies and governments throughout the world work together to effect change, this tragedy will not end,” he says. In response to the ban, captive lion breeders and farmers have found alternatives to save their livelihoods. Among those who have also developed an appetite for hunting in recent times are Chinese tourists. American hunting guide Scott Lupien has been taking Chinese hunters abroad since 2009 with his 52Safari International Hunting Club, based in Beijing. “I came up with the idea, because hunting is my hobby,” Lupien says. Since the U.S. Fish and Wildlife Service recently started allowing Americans to import trophies from wild lions in Zimbabwe and Zambia, ABC News reported, the decision has sparked hope in the captive lion hunting industry that the Trump administration may just let U.S hunters return to their former stomping ground in South Africa. Conservationists are desperately hoping that’s not the case. In South Africa, whatever the U.S decides on captive lion hunting, Bamberger is confident the industry will endure.